I do not agree with murder in any way, shape or form, and this is the irony of the movie. But you have to admit most of what he is saying is true, and that government and corporations are at the center of evil and corruption in many ways in society and have been for a very long time, for thousands of years. However, for example, Assange and Snowden would never say to go murder people just to get the attention of others or to expose evil. Neither of them did that. The other side of the coin is many people are losing their lives all over the world because of much of what our own government agencies and United Nations has done, and that has actually been proved. These are not just conspiracy theories either. One example he brought out was the 50 children who died by drone for one terrorist who was not even proved a real terrorist. There is something to say about that also from the Obama drone killings. I also know our government is connected to the phony war on terror, which has been connected to the Mossads being the false Al-Qaeda. War is bred from all sides for one order of evil, and this has been seen in history with Rome, Babylon and pretty much everywhere. This movie of course should never be seen as a justification to murder people, as this is clearly wrong, but one reason why things are going sour in a lot of places is what he is talking about, and that is very real. I give it 7 out of 10 for that. 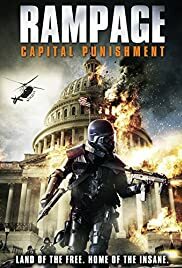 Uwe Boll just has some real guts making movies like this considering shootings that have sadly happened, but I can tell you mind control is not far off from that either in connection. We know how to clone, make robots, send out satellites, etc. etc., so how hard is it to think we cannot control a person or groups with any method, especially seeing in the past projects like MK ULtra and the current Project Monarch? Think about that. Dark movie, but good points are made.